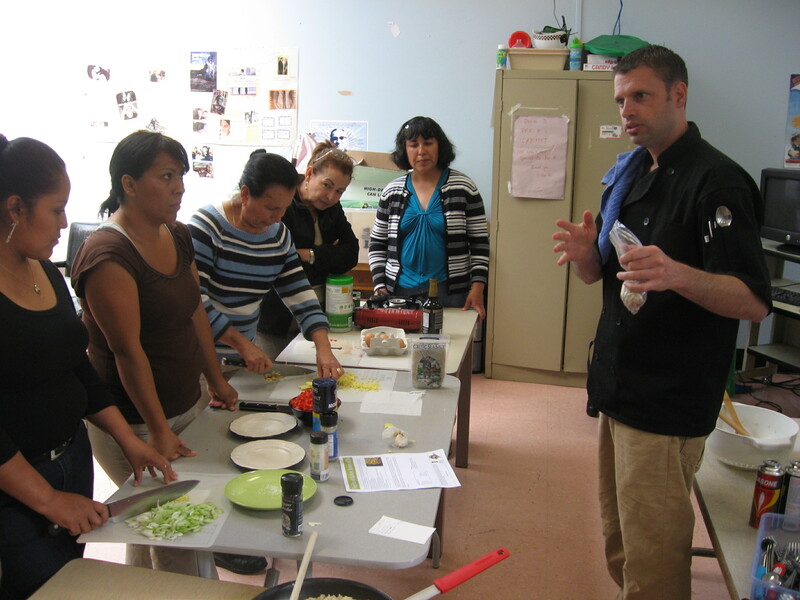 I volunteered as a Chef at Cooking Matters, where I taught low-income women to create healthy low-cost meals for their families. While we were preparing a recipe for fried rice, I facilitated a salt tasting. The class discussed the effects of sodium on the diet. In this photo we are tasting a few different kinds of salt, and discussing the mineral content.